Welcome to La Harpe, Dr. Dunn! 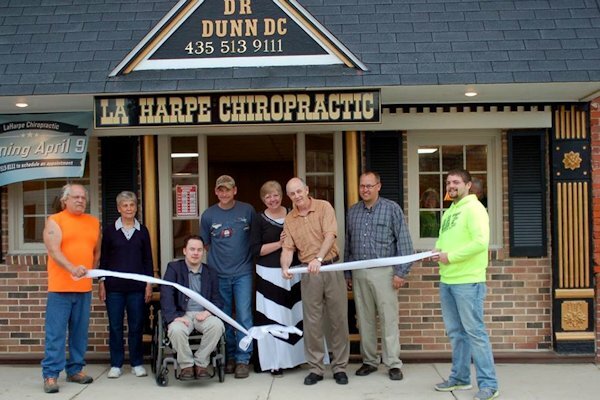 On Thursday, April 9, 2015, Dr. Craig Dunn opened his new chiropractic office in La Harpe. Dr. Dunn's first patient was Nancy Foster of La Harpe.